By Ken Perez, vice president of healthcare policy, Omnicell. The 340B Drug Pricing Program was created in 1992 to give safety net providers — those that deliver a significant level of both healthcare and other health-related services to the uninsured, Medicaid, and other vulnerable populations — discounts on outpatient drugs to “stretch scare federal resources as far as possible, reaching more eligible patients and providing more comprehensive services.” In brief, the program requires drug makers participating in Medicaid and Medicare Part B to provide discounts on outpatient drugs to 340B providers, which include various types of hospitals and certain federal grantees, such as federally qualified health centers and comprehensive hemophilia treatment centers. For years, the 340B program has been fraught with controversy, with concerns raised about the program’s lack of accountability and oversight, and findings of widespread diversion of benefits (discounted drugs) to ineligible patients. The nonpartisan Medicare Payment Advisory Committee (MedPAC) found that hospitals in the 340B program receive a minimum discount of 22.5 percent of Average Sales Price (ASP) for drugs paid under the Medicare Hospital Outpatient Prospective Payment System (OPPS). The Office of the Inspector General of the U.S. Department of Health and Human Services (HHS) found that the average 340B discount was 34 percent of ASP, and at least two organizations with 340B members estimated that 340B discounts could be as high as 50 percent of ASP. Based in part on these findings, in 2017 HHS proposed and finalized a rule implementing a sharp reduction in 340B reimbursement of hospitals by the Centers for Medicare and Medicaid Services from ASP plus 6 percent to ASP minus 22.5 percent, along with an offsetting payment rate increase for non-drug items and services. It was estimated that 85 percent of 340B hospitals would see overall net payment increases in 2018 as a result of these changes, and that 340B hospitals would continue to benefit financially from the program. Nevertheless, the American Hospital Association (AHA), America’s Essential Hospitals, and the Association of American Medical Colleges—all non-profit hospital associations—filed suits against HHS to block the change. 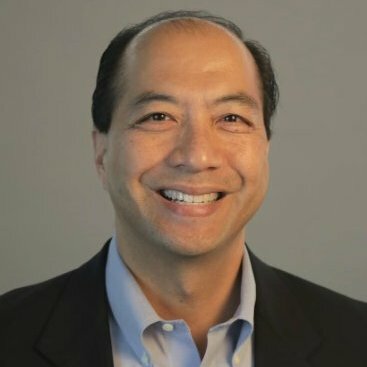 By Ken Perez, VP of healthcare policy, Omnicell, Inc.
Decreasing inpatient admission volumes, shifts in the re-imbursement mix from higher-margin commercial payers to lower-margin public payers, and pressures resulting from value-based care have been solid trends during the past several years. Thus, it was not surprising that a Moody’s Investors Service report released in August portrayed the current condition of finances for not-for-profit hospitals as troubling. Consequently, median operating margins dropped to an all-time low of 1.6 percent in 2017. More than 28 percent of hospitals posted operating losses last year, up from 16.5 percent in 2016. Of course, operating losses cannot be sustained forever. If they are sustained for multiple years, closure of the hospital frequently results. Earlier this year, Morgan Stanley concluded that 18 percent of U.S. hospitals are at risk of closure or are weak financially, with approximately 8 percent of hospitals (roughly 450 facilities) presently at risk of closing. To put that figure in perspective, during the past five years, only 2.5 percent (150 hospitals) have closed. Also, Morgan Stanley found that 10 percent of hospitals suffer from weak finances. Various factors account for not-for-profit hospitals’ financial difficulties. Because the vast majority of net patient revenue came from fee-for-service based payment models—such as DRG payment, fee schedule, percentage of the chargemaster, or list price—overall reduced payment rates adversely impacted revenue in 2017. To be clear, nominal payment rates did not decline—e.g., Medicare’s Inpatient Prospective Payment System and Outpatient Prospective Payment System both incorporated nominal year-to-year increases in 2017—but the revenue mix for hospitals did shift from higher-margin commercial payers to lower-margin public payers. Median Medicare and Medicaid payments as a percentage of gross revenue rose to 45.6 percent and 15.5 percent, respectively, in 2017. Furthermore, continuing a five-year trend, public payers’ share of hospital revenue is projected to increase for the foreseeable future, as more of the baby boomers—an obviously large demographic group—reach retirement age and an increasing number of them incur the sizable costs of the last year of life. In addition, hospital finances were adversely impacted by the continued shift from inpatient to outpatient care, a trend driven by greater competition from ambulatory facilities, such as physician offices and ambulatory surgery centers. Moody’s reported that median outpatient growth rates exceeded inpatient growth rates for the fifth straight year. In her July 25 address to the Commonwealth Club, Seema Verma, administrator of the Centers for Medicare & Medicaid Services, supported the inpatient-to-outpatient shift, stating that Medicare is seeking to avoid “downstream” expenses, such as emergency department (ED) visits and hospital admissions. Faced with these financial challenges, not-for-profit hospitals have pursued a number of approaches. Most commonly, they have tried to improve their management of labor and supply costs. However, this strategy—while certainly logical—may be reaching a point of diminishing returns. Lyndean Brick, president and CEO of the Advis Group, a healthcare consulting firm, has concluded: “This is no longer solely about expense reduction. If not-for-profits just focus on that, they will be out of business in the next few years” (Modern Healthcare, Aug. 29, 2018). Another strategic response has been consolidation—in which small hospitals join a larger health system—to gain more leverage with payers, to accomplish greater economies of scale, to get access to lower-cost capital, and to enhance access to talent. 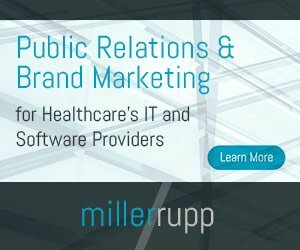 During the first half of 2017, two mergers, each pairing national health plans—Aetna with Humana and Anthem with Cigna, respectively—were blocked by two federal judges, both of whom concluded that the mergers would reduce competition in the health insurance market and, therefore, raise prices. Departing from the horizontal merger approach, three national health insurers are now involved in proposed or possible vertical mergers. CVS Health announced its intent to acquire Aetna in December 2017; Cigna announced its plan to acquire pharmacy benefits manager Express Scripts in March 2018; and Walmart is reportedly in acquisition talks with Humana. Because of their size, the interesting value delivery chains they would create, and potential synergies, these corporate combinations have been described as disruptive and industry game-changers. From a health policy standpoint, what has contributed to these mega-mergers? First, the specter of a single-payer healthcare system—as most ardently promoted by Sen. Bernie Sanders (I-Vt.)—has been greatly diminished by the election of Republican Donald Trump as president in 2016, continued Republican majorities in both the House of Representatives and the Senate, and perhaps most saliently, the passage of the Tax Cuts and Jobs Act of 2017 (TCJA) in December 2017. It is a truism in Washington, D.C. that taking back something that has been given to the public is hard, if not impossible. Since a single-payer healthcare system would clearly entail a major expansion of the federal government that would require not only the repeal of the TCJA’s tax breaks for individuals and corporations, but also the imposition of additional tax increases, it would appear to be a political impossibility for at least until 2021. Second, Medicare Advantage (MA), Medicare’s managed care program, increasingly is where the action is for health plans. Congressional Republicans strongly support MA, and the program is gaining in popularity with Medicare beneficiaries. The Centers for Medicare and Medicaid Services projects that 20.4 million people will enroll in MA for 2018, an increase of 9 percent over 2017, about three times faster than the growth of the total Medicare enrollee population. More than a third (34 percent) of Medicare beneficiaries are enrolled in MA. The proposed mega-mergers involving Aetna, Cigna and Humana secure control of significant shares of the Medicare population, including sizable shares of the MA enrollee pie. Paying for high-cost drugs based on the patient outcomes they produce—an approach known as outcomes-based pricing—is gaining momentum as health plans seek to slow the growth of healthcare costs in the face of rapidly escalating drug prices. Under outcomes-based pricing, health plans and drug manufacturers agree to a contract in which the revenue the manufacturer receives is adjusted based on how well the medication performs in a real-world population. In practical terms, in the event the patient outcomes are less favorable than expected, the manufacturer must issue a refund or rebate to the health plan, which in effect constitutes a price adjustment. Aetna, Anthem, Cigna, Harvard Pilgrim and UnitedHealth Group have all signed outcomes-based contracts with drug makers. According to Avalere Health, a healthcare consulting and research firm, one in four health plans has at least one outcomes-based contract, and another 30 percent of health plans were negotiating one or more outcomes-based contracts as of early 2017. Several of the early outcomes-based deals are for treating common, high-cost conditions for which there is a lot of outcomes data, such as high cholesterol and diabetes. According to the Centers for Disease Control and Prevention, over 100 million American adults have cholesterol levels above healthy levels, and similarly, more than 100 million American adults have diabetes or prediabetes. In addition, pharmaceutical firms with new cancer drugs that have little data proving their longer-term outcomes value should be motivated to enter into outcomes-based agreements. Given the Trump administration’s anti-regulation bent and focus on spurring drug price competition through expedited approval of generics and biosimilars, the Department of Health and Human Services is unlikely to experiment with outcomes-based pricing during the next few years. Thus, commercial health plans should remain the key promoters of outcomes-based pricing for the foreseeable future. H.R. 1, The Tax Cuts and Jobs Act (TCJA), gained passage in the Senate (by a 51-48 vote) and the House (by a 224-201 vote) on Dec. 20, 2017, and two days later, President Donald Trump signed the bill into law. The TCJA constitutes the biggest tax reform legislation in three decades for the U.S. and unquestionably the most significant legislative accomplishment of the Trump administration in 2017. Two provisions and one possible pitfall of the TCJA are most relevant to the healthcare industry. This change, excluding other provisions of the TCJA, will clearly benefit for-profit hospitals and health systems, as well as pharmaceutical companies. Starting in 2019, the TCJA repeals the ACA individual mandate that requires all Americans under 65 to have health insurance or pay an annual penalty, $695 per person or 2.5 percent of income—whichever is higher. Per the Congressional Budget Office’s November 2017 analysis, “Repealing the Individual Health Insurance Mandate: An Updated Estimate,” the repeal of the individual mandate in 2019 would increase the number of uninsured Americans—relative to a baseline that assumes continuation of cost-sharing reduction (CSR) subsidies in the ACA marketplaces—by 4 million in 2019, with that figure growing to 13 million in 2025 and remaining at that level thru 2027. On May 23, the Department of Health and Human Services (HHS) released a report on individual market premium changes from 2013 to 2017 for the 39 states using the federal government’s healthcare.gov platform. The report provided a good gauge of the affordability of the ACA marketplaces. The HHS report found that all 39 states experienced increases in individual market premiums since 2013. Average premiums rose during the four-year period by 105 percent, which translates to an average annual premium increase of $2,928. To put the 105 percent premium hike in perspective, it was more than 20 times the growth in the Consumer Price Index (CPI) and more than eight times the nation’s healthcare inflation over the same period. While 16 states had premium increases under the national average of 105 percent, 20 states had premium increases between 105 percent and 200 percent. Moreover, three states—Alabama, Alaska and Oklahoma—saw premiums triple, rising more than 200 percent. A comparable analysis of the 11 states running their own marketplaces has not yet been conducted, but from 2016 to 2017, their average approved individual market rate increase was 19 percent, over nine times CPI growth and over five times U.S. healthcare inflation. Multiple interrelated factors have driven these premium increases, including lower-than-expected enrollment, as estimates ranging from 12 million to 15 million people—disproportionately young and healthy—who were expected to enroll in the marketplaces by the end of 2016 did not do so. Because of the lower-than-expected enrollment and relative non-participation by the young and healthy, the marketplaces have been left with an older, sicker risk pool, producing huge losses for many health plans, in spite of the previously mentioned substantial premium increases. Consequently, in 2017, 80 insurers left the ACA marketplaces while 11 entered, yielding a net decrease of 69. The inordinate premium inflation of the marketplaces reflects a cycle that appears to be worsening, so much so that some have described it as a “death spiral.” As health insurers exit the marketplaces, competition decreases, which naturally leads to premium hikes, as well as to a narrowing of plan choices. The higher premiums and fewer choices dissuade people from signing up or cause current enrollees to drop out, further shrinking the risk pool. If the ACA marketplaces prove to be unsustainable then access to affordable healthcare plans for millions of Americans—regardless of the availability of premium credits—will be at risk. During the past few months, hospital organizations have lobbied for changes to the American Health Care Act (AHCA), with core concerns about possible growth of uncompensated care resulting from increases to the uninsured population and separately, the popularity of high-deductible plans with many of the insured, which raises concerns about patients’ ability to pay their hospital bills. However, as the recent HHS report compellingly points out, hospitals should not only be worried about possible ramifications of the AHCA—the serious, fundamental weaknesses of the ACA’s health insurance marketplaces constitute a clear, present and increasing challenge to hospital finances.